Member of The Month – Kate Haughton! Kate literally is one of the nicest, happiest, friendliest, hard working and supportive people you will ever meet. I have no idea how Kate makes time for CrossFit as she has horses and rides them competitively, she also has a full time job and is also studying for a masters degree!!! K – I think around 10 months… which is crazy as I can’t imagine life without CrossFit now! K – I tend to go to the 5 o’clock class as it’s a perfect time for me to come straight from work and it really is the best way to unwind after a day in the office! It also means I still have time to train my horses in the evening. When I first started the 5 o’clock class seemed to be slightly quieter than the other classes which I found less intimidating and it generally seemed to be the same people in the class who are the main reason I love going to the gym. I now consider them as some of my best friends! It’s great to see that the 5 o’clock class is getting more popular with lots of new faces, it’s obviously the place to be! I also love a good partner WOD with my twinnie (Hannah) so I always enjoy the weekend classes and boot camp. K – This is a difficult one.. there are so many why’s for me! I love pushing myself to the limit, there have been so many times mid WOD (especially during Hero month) I’ve thought to myself there is no way I can finish this and the feeling you get when you do is the best! I have always been competitive in sport but I have never experienced anything like CrossFit. There is still a lot of competitiveness (which I love) but it is a different type of competitiveness, everyone encourages and supports each other to do well and improve. I couldn’t believe it when I watched my first CrossFit competition and saw how supportive competitors were to each other, it really is amazing, I wish all sports could be the same! The biggest why is definitely down to the people, I love that there is such a varied group of inspirational people all with different backgrounds and experiences. 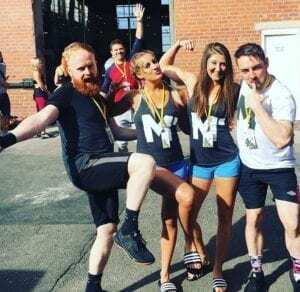 I have learnt so much not only in CrossFit but also on a personal level from the coaches and members, I feel very lucky to be part of M Squared and to have gained some amazing friends out of it! 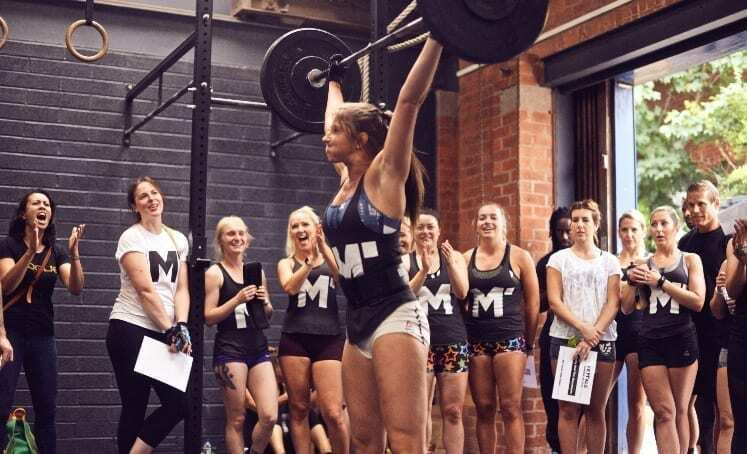 K – It took me a while to pluck up the courage to go, I remember how nervous I was walking into the gym for the first time but I soon realised that my perception of what CrossFit was couldn’t have been any further from reality. After foundations and my first class I was hooked! The foundations class is a great way to start, it provides an introduction to all the different movements and all of the coaches are super friendly and approachable. They are great at adapting workouts to suit the individual’s fitness level/experience. I would encourage anyone who is considering starting CrossFit to just DO IT… don’t over think it! I guarantee you won’t regret it! K – I’m not going lie, I’m pretty proud to be MOTM! I love that there are so many different movements in CrossFit so each time you go you make incremental improvements whether it’s getting a movement for the first time or an additional 1kg to a PB, each achievement no matter how small is a great feeling and makes me hungry for more! I guess that I am proud that I came out of my comfort zone and found the confidence to start CrossFit, I never thought I would be able to do half the things I can do now and that is all thanks to the amazing team at M Squared! 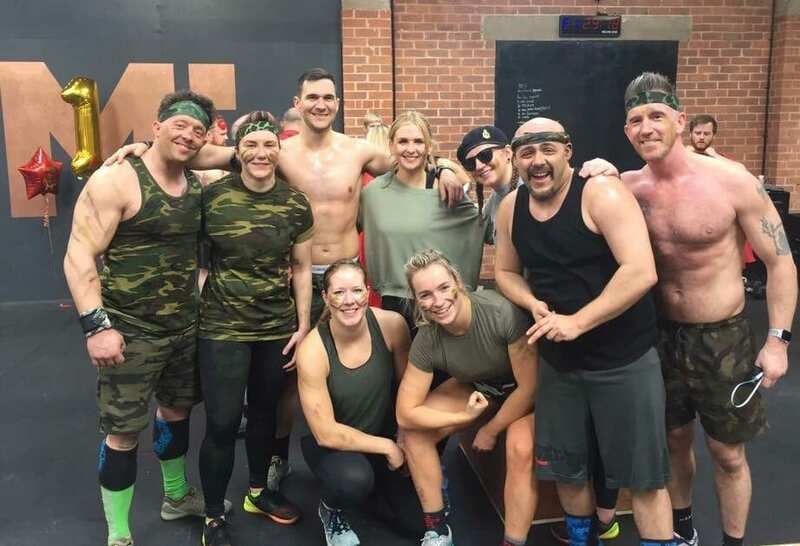 Also I can’t forget my first podium finish with team ‘beauties and the dad bods’ at the OL1 team CrossFit comp, it will always go down as one of my favorite CrossFit memories of 2018! I would like to say a MASSIVE thank you to all the coaches and members at M Squared you guys are awesome and I can’t thank you enough for the positive impact you’ve all had on my life!